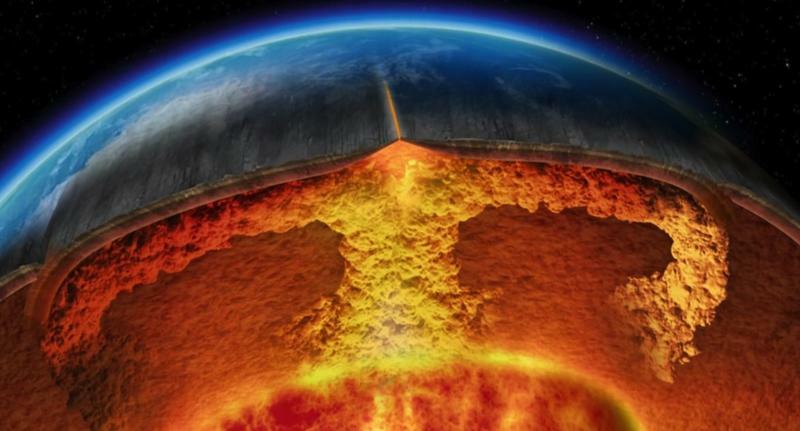 New data collected by French research agency CEA suggests the Earth's inner core—beneath the crust, mantle and core—is much, much hotter than originally thought. So hot, in fact, that researchers believe it's just as hot as the surface of the Sun. Through X-ray analysis of molten iron, Agnes Dewaele and other members of the scientific community were able to measure a temperature range of the inner core. Many previous estimates believed the temperature leveled at 5,000 degrees Celsius. But new research concludes that the temperature is actually 1,000 degrees warmer, at 6,000 degrees Celsius. The new X-ray method gave researchers the freedom to "probe tiny speck-like samples of iron at intense pressures to get an enhanced sense of how crystals form and melt," io9 said. Pressure at the core's boundary can be up to a million times greater than what you and I experience at sea level, so obviously overcoming such an obstacle to determine a precise temperature was indeed difficult. But Dewaele was able to replicate the immense pressures with a static laser-heated diamond anvil cell. By applying the pressure, and then heating the samples with lasers, Dewaele was able to see how a crystal structure changes as it goes from liquid to solid. "The researchers analyzed the way X-ray beams bounced off the nuclei of the iron atoms," io9 said. "As the iron changed from solid to liquid, the researchers observed changes to the diffraction patterns, which in turn provided the data required to measure partially molten states of iron." While we can't directly measure the inner core, the pursuit to study the it helps scientists better understand our planet's magnetic field, and ultimately better understand Earth as a whole.